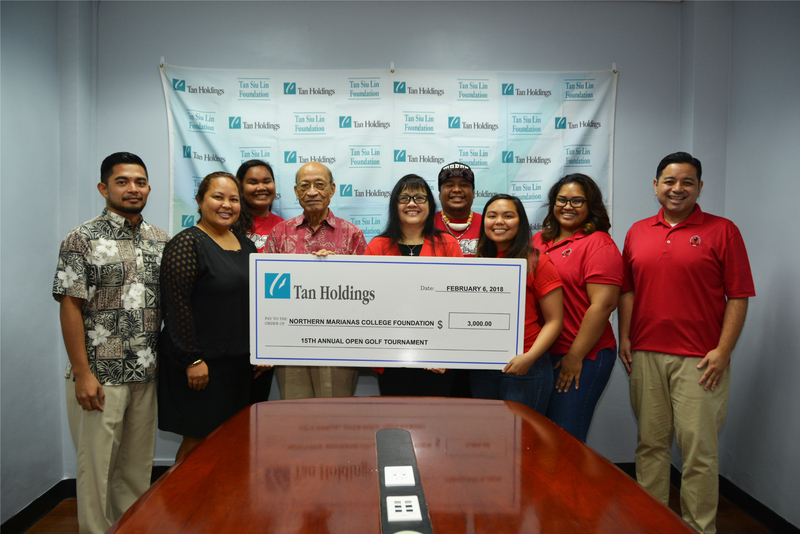 In keeping with its mission of supporting community organizations that promote learning and workforce development, the TSL Foundation recently donated $3,000 to the Northern Marianas College Foundation. The donation was made in support of the Foundation�s 15th Annual NMC Foundation Golf Tournament scheduled for Saturday, March 3, 2018, at the LaoLao Bay Golf & Resort�s West Course. �We are extremely thankful for Tan Siu Lin Foundation support in this year�s tournament,� said Mary Tenorio, NMC Foundation president. First place winners in the men�s Championship, A, B, C, Senior, and Ladies Flights will each receive $500, while $300 and $200 will go to the second and third place finishers, respectively. Hole-in-one prizes include a Toyota Tacoma Pre-Runner offered by Atkins Kroll, Honda HRV offered by Joeten Motors, $10,000 in cash from Marianas Insurance Company, and $5,000 in cash from Pacifica Insurance. The tournament will also feature many other items as raffle prizes like smartphones, hotel stays, meal gift certificates, and other luxury items.